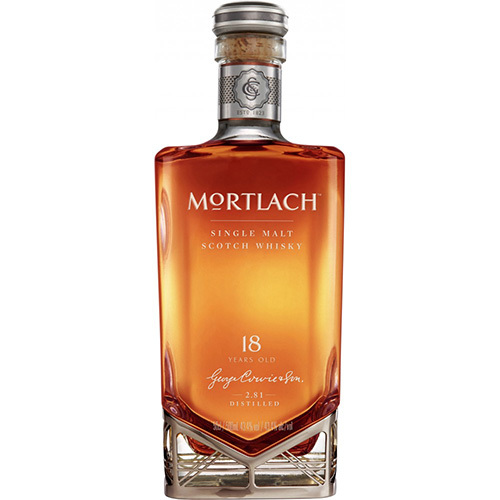 A very compelling, moreish and appetising Mortlach for those who like their whiskies robust; best enjoyed straight. Appearance: Clear, bright amber. Elegant beading. Nose: Delicate at first with the light fruity aroma of fresh green apples, giving way to a savoury core suffused with candied sweetness. Palate: Cautious and creamy at first, with flashes of intense sweetness before an espresso coffee note develops. This is Mortlach at its most robust. Finish: Coating, with a sparkling bitter-sweetness as found in a traditional cloudy lemonade. Ultimately drying and warming.